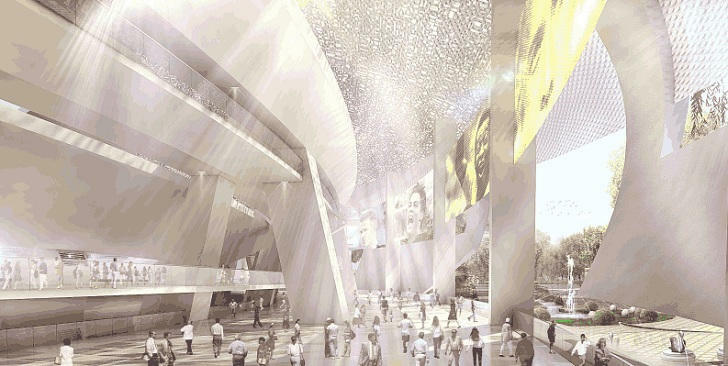 This vision of an 80,000-seater in Qatar is not a concrete plan for any of the 8-10 venues for the tournament. 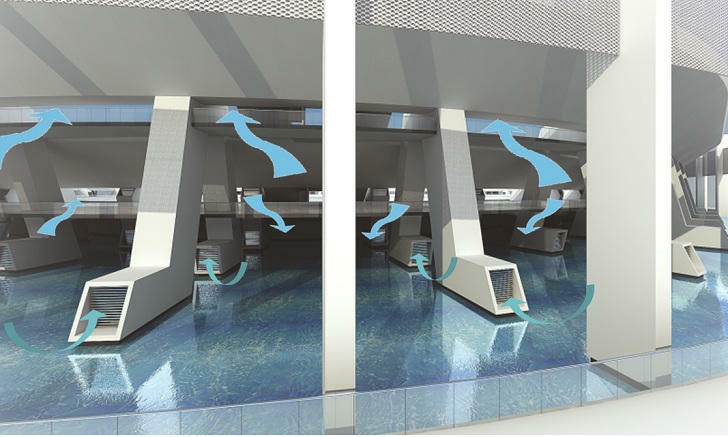 Quite the opposite, this is a showcase model by Tangram Gul that shows passive cooling techniques which may be utilised throughout the venues planned for the 2022 tournament. 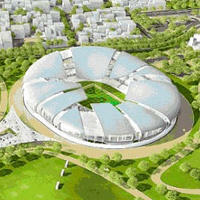 A lasting legacy of the model is providing solutions to cool sports venues without using a single watt of energy. First, the cladding is to be highly perforated, assuring airflow. 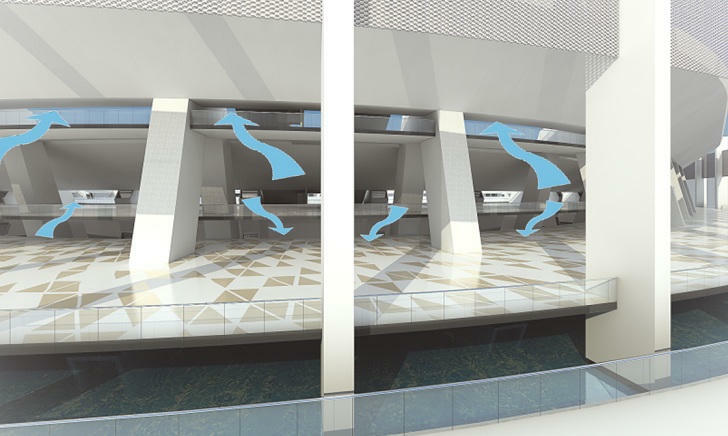 To enhance the flow of air, the widely utilised in Arab architecture baghdere technique is to be used, which – in short – means that walls and doorways layout plays a significant role in the flow of masses of air. To make the flow even better, the Venturi effect is used – a passive technique allowing pressure regulation and faster movement of gasses/liquids. Then, just like the scales of a desert lizard, the stadium is to prevent too much hot air from getting inside. What does get in, is to be then cooled by a long known Persian technique. Under the stands a shaded pool with cold water is to be located. After entering the stadium, air would be directed down to the pool and then arrive at the stands already cooled. With these solutions combined, hot air that would get inside through the open roof, is to be pushed out. Covering the roof with photovoltaic panels would also prevent the venue's outer surface from heating up, using the heat to create energy instead. All the ways mentioned above would, according to Tangram Gulf, ensure temperature inside the stadium below 26-29 degrees maximum level set by FIFA, despite summer temperature outside being over 40 degrees.